Each season the Oakville Symphony presents a series of free half-hour mini-concerts for kids. These fun and interactive events are designed to inform and entertain children aged four to nine. Here’s your chance to give your kids a close-up view, hear the distinct sounds and perhaps even have a go at playing some of the amazing instruments of the orchestra. Tickets: No tickets are required for this free event but spaces are limited. 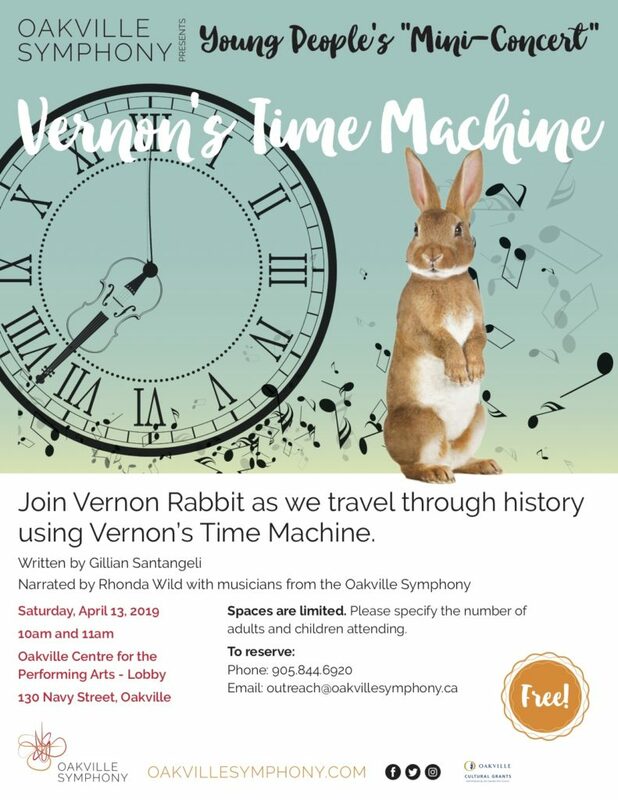 Please reserve your places (indicating number of adults and children) by calling 905 844 6920 or email outreach@oakvillesymphony.ca.